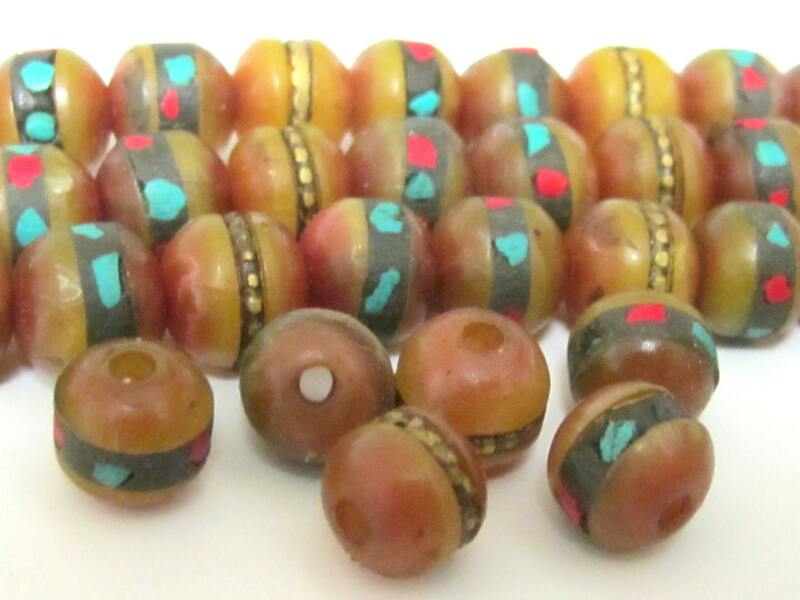 Tibetan copal resin beads . Inlaid with turquoise and coral . 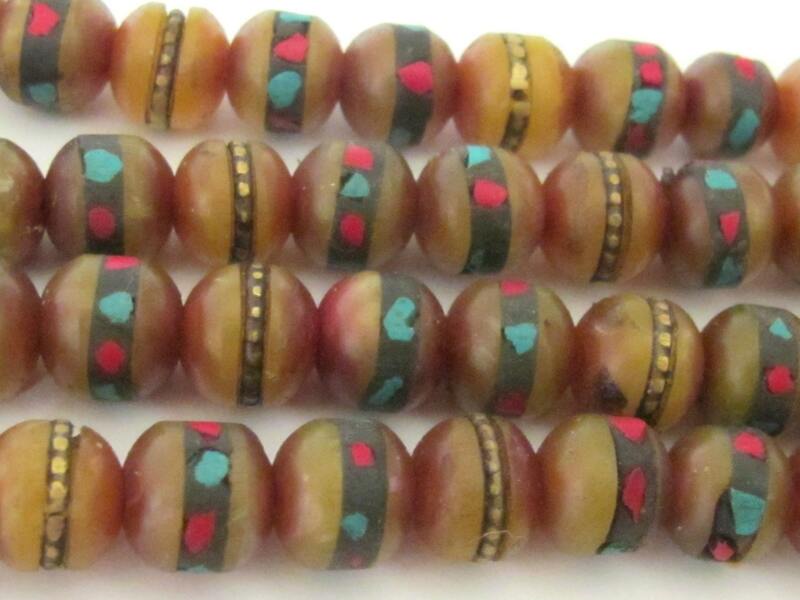 A few beads inlaid with brass in center. Handmade in Nepal. Images may appear enlarged to provide clear details. Size as mentioned above. Since these are handmade each bead may vary slightly from the other. You will receive 50 beads from the lot.